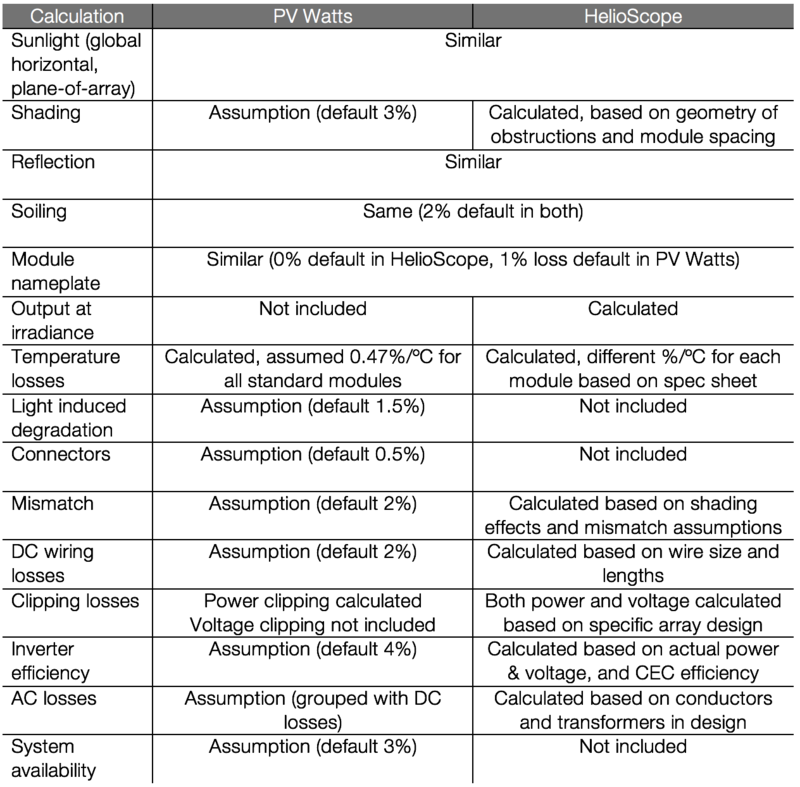 HelioScope and PVWatts are both tools used to estimate energy production of solar arrays. The two programs are similar in many ways, including most of the major elements of sun angle and system behavior calculations. Both models can be lined up to within a few percent of each other, assuming the user has selected the same weather files, system design parameters, and loss factors. However, there are some assumptions that are unique to each model, so they will likely not line up perfectly by default. Make sure the weather files are the same. The default Condition Set in HelioScope uses the closest weather station, which is often Solar Prospector, as opposed to TMY2/TMY3 (which is what PVWatts uses). If so, create a new Condition Set with the same weather file. About half of the lines on the HelioScope loss table line are mapped to the PV Watts Loss Breakdown. See Figure 1 below for more detail.